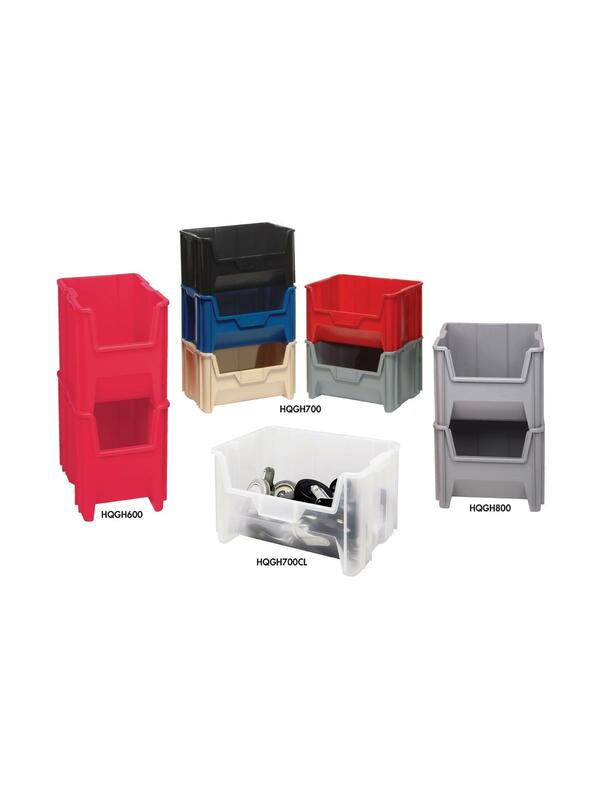 Designed for multiple uses -- can be stacked up to 6 high to create a sturdy, tall and complete storage system. Optional labels and windows available. HQGH700 available in Gray, Blue, Ivory, Black, Red or Clear. HQGH600 & HQGH800 available in Gray, Blue, Red or Clear. 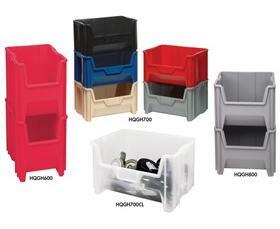 See Related Items tab for Shelving Units with Stackable Storage Bins.